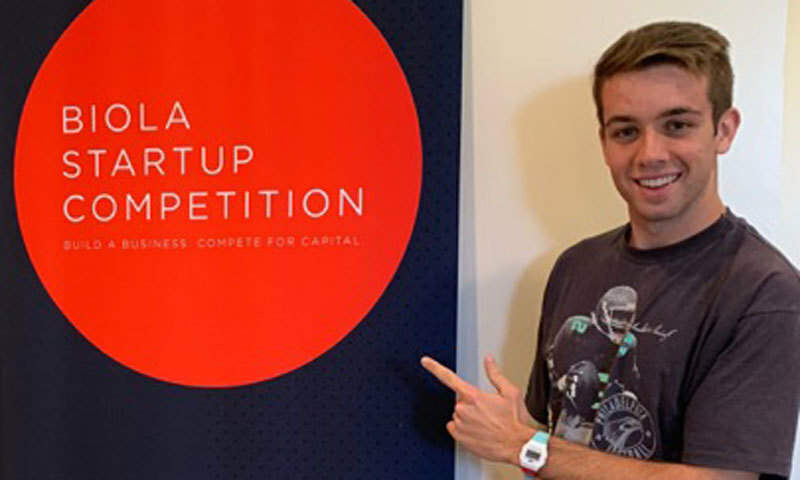 The Biola Startup Competition just concluded Round 2 of 3 of this year’s 4th annual competition. Concept Papers were due November 12th by midnight, and the last one submitted had a time stamp of 11:59 PM. Talk about close. And now a select group of Concept Paper Judges (Christian men and women professionals from the US, Asia, EMEA, and Latin America) will score the papers and make their recommendations regarding who advances to the final round. The 6 finalist teams will be announced on November 30. Each finalist team will then be matched with a business coach (a Christian executive with expertise in their subject matter) and develop a thought-out business plan. On March 15th, each team will make their 15-minute pitch before judges – and the top 3 winners will be selected. In addition to cash prizes of $27,500, Brown & Streza LLP offers the 1st place team a pro-bono legal package valued at $10,000. The teams in Round 2 are: Chaotic Peace, Empty Cave, Glorious Gainz Fitness, Kintsugi, ParaBrands, ProjectThread, Sunny/75, and Titanium. Business ideas and list of team members (and majors) are shown below. Chaotic Peace is a non-profit organization specializing in providing resources for equipping, training, and sending students to normalize conversations and break the stigmas associated with mental health. Students on their own campuses will impact the generation that has the highest need for mental health awareness thus far. Chaotic Peace works with students and school administration to establish a network of campus clubs and social groups enabling conversations and support between the students. Chaotic Peace most importantly connects students with professional counselors and educational tools and resources. Severe illness will affect most of us or our loved ones at one time or another. When one experiences a medical issue, the sick and their families often look to online information as a source of guidance. About half of the world population has internet access and that percentage will continue to grow. These online sources are typically secular, dry, and bereft of encouragement or spiritual support. Empty Cave will create a novel and unique repository of online physician-vetted medical information that helps patients and their family in their time of need, but with accompanying deep and rich spiritual resources. End-user driven forums and reviews of resources and providers will engage the end-user. Another novel aspect is that we intend to translate the website content into multiple other languages, in an effort of providing global access to credible resources. We will look to expand to where the message of God’s love needs to be heard. Online and local in-person forums to provide mutual support will be created. Funding will be raised to support specific health initiatives. We will form alliances with prominent Christian and medical groups in an effort to create an impactful ministry that will reach over one billion people. All who need medical information, as a supplement to their physician if they have one, can be impacted by the website and the links that are offered. Like Jesus and the apostles, we will proclaim the good news and share God’s work in creation. One of the most common methods people pursue to help solve their body image issues is exercise. We want to meet them where they are, much like Jesus, who met and meets people where they are and brings them truth, hope, healing, and ultimately salvation. To that end, Glorious Gainz Fitness (GGF) aims to enable, equip, and encourage people to discover their God-given worth and true identity through a Christ-centered approach to fitness. Kintsugi’s vision is to create a sustainable environment that recognizes and restores the identity in Christ of people transitioning out of homelessness. We aim to start a for-profit bike shop employing individuals who have experienced homelessness to refurbish bikes and sell them to millennials in Long Beach. Our model begins with our employees. We are partnering with local non-profits like Christian Outreach in Action to recommend candidates in the process of transitioning out of homelessness and to whom the restorative and stable community of Kintsugi would benefit. Then from our employees comes our product. Our technicians will take old bikes and strip them down to their core making sure all of the basic components are in good condition. Then they will repaint them with a style distinctive to Kintsugi which reflects the beauty of restored imperfection. In putting everything together we will be left with a beautifully restored bike as our final product. We will begin by selling these to millennials in pop-up shops around Long Beach before we establish a permanent location for both employees and customers. Fashion is an integral part of today’s culture. Clothing companies often use phrases, slogans, and subliminal messages to influence people into buying their product or boosting their own social image through the status of a brand. Out of all the major clothing brands that exist, very few choose to encourage deeper thought and meaningful messages. The messages that are promoted in today’s fashion industry are vanity driven, and ParaBrands aims to innovate man’s vanity towards God’s glory. We see an opportunity to distinguish ourselves by creating clothing that is aesthetically appealing and pushes wearers towards deeper thought. We have a variety of different lines within the brand that will help to expand our customer base. First, Paradox aims to target the more high-fashion, “hype” centered community. This line of products covers a large portion of the potential customer base, especially in LA. This will be the first line that we’ll be releasing, due to the huge market potential that this covers. We’ll also be launching Paradice, which targets the LA surf and skate community. This line will be launched once we’ve gained our footing as a brand. Finally, Paradime aims to target the higher fashion community with a designer-type feel. This line will be launched much later down the line when ParaBrands is a much more established brand. These lines allow ParaBrands to have a very wide customer base. Anchored on the unique intersection of fashion and technology, PT has the potential to generate newfound revenue in clothing retail, offer a tangible and intelligent visualization for the consumer’s asset of clothing, and enables distribution of yesterday’s clothing abundance for donation to aid those in need. S75 is not a clothing company, but a brand that strives to bring LA sports fans closer to their teams, by offering personalized, affordable merchandise they can utilize to rep their teams. Our customers are the fans of LA sports teams in the city of Los Angeles, and even those that live away from SoCal. They love LA teams and long merchandise that signifies more personalized nicknames and titles given to their teams at a good price. This is something that no one else has offered them before, making it new and unique. From the proceeds and support of the fans, we hope to use a percentage of each sale to fund our nonprofit. The goal of the S75 non-profit is to create a safe, stimulating and morally wholesome environment in which displaced youth plagued by the homeless epidemic, can participate in sports and other activities. From this, they can escape the negative environments, and enter into an environment in which they can build strong morals, sportsmanship, and teamwork. We hope to keep these kids involved from elementary school to college, providing them with mentorships, peer building, and eventually scholarships all along the way. By providing a safe environment for kids to grow, express themselves, and cope with their situations, we hope to help them escape poverty and provide them with the necessary equipment and chance to be a part of something that is truly life-changing. We seek “to be doers, not sayers,” as it says in Proverbs 27:17 “Iron sharpens iron, as another man sharpens another.” That is what we hope to do for the youth of our community. Titanium is taking advantage of the booming Athleisure wear market to make a difference in the world. We are tackling the waste epidemic by producing fashionable, performance-enhancing activewear made from 100% recycled plastic. Our company will be the first activewear company producing all its gear from recycling plastic bottles that litter God’s world. Athleisure wear or active wear is casual, comfortable clothing designed to be suitable for both exercise and everyday wear. 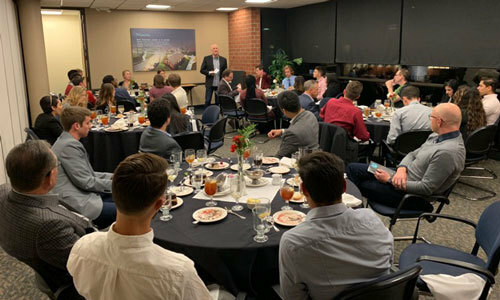 The most amazing observation about the participants in the Biola Startup Competition is that all 38 innovators desire to honor God with their Startup and at the same time offer a redemptive approach to business. In our judgment, at the Crowell School of Business, this mindset is always a winner.